Boy Discovered In Malaysia That Was Raised By Apes. We all know the story of Tarzan and how he was raised by apes. He seemed like he turned out to be a pretty good guy right? Well hopefully that’s the case for this young child as well. 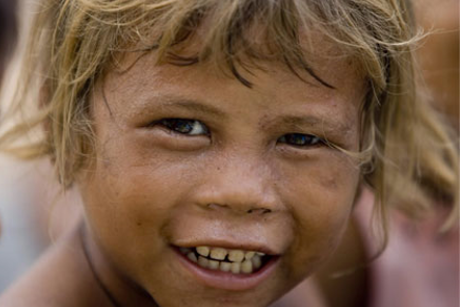 Recently Malaysian authorities have claimed they’ve found, or captured, a young boy that the locals have referred to as “The feral child of Borneo.” Apparently this child has been seen over the past few years by the locals of Borneo. 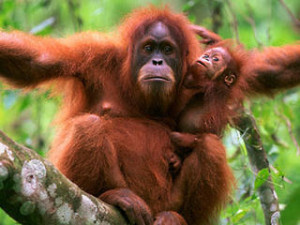 The child who authorities believe is somewhere around the age of four to seven years old, has spent the last few years with a group of orangutans who had taken him in and raised him as one of their own. Yeah having an army of orangutans protecting the kid would probably be a real problem to get around. The child, since his capture, has been examined by local doctors and is in perfect health. However, it seems as though he doesn’t remember any type of human interaction. Hopefully the boy will transition well back into society, but who knows. The very interesting thing that authorities still don’t know is how the boy actually lost his parents. The authorities say that they are trying to establish an actual age and identity for the boy. He is currently in custody of agents from the Social Welfare Department. They are trying to ease the boy back into a “normal” human life. This isn’t the first time something like this has happened. In 1996 Nigerian authorities found a two-year-old boy that was portrayed by the media as “The Nigerian Chimp Boy.” Also Ugandan authorities found John Ssebunya in 1991 after being raised by monkeys for several years in the jungle.